I keep thinking I need to quit the blog-life. Come on Kate, just do it, spare the readers some heartbreak and tell them you’re quitting…quit stringing them along! But then I read through my blog and other blogs on my Blog Roll and I…just…can’t! I can’t quit, I love blogging and love creating and I love sharing it all! I know it’s a bit sporadic, but I’m here and I do care about my readers, and I am trying to be more consistent. Thanks for being patient with me and still popping by for a read. I do appreciate it! I’m busy reading through my Blog Roll today, Design Lovely, Esta Sketch, Darling Dexter…they’re all so beautiful and completely inspiring. I love them, they make my heart feel light and happy. Sappy, I know, but totally true. Jersey, isn’t she getting BIG? Puppies always grow up too fast! At a summer wedding with my girls. Just a few of the things I’ve been up to in the past little while! More to come! I wish I could say that I was this great gardener and all my flower bloomed full and thick every year. But no. I’m just not that girl. I killed my Thyme, it just shrivled away (good thing you’re supposed to dry it!) and I’m honestly surprised that my Fox Gloves, Holly Hocks, Lavender, tomatoes and Basil have actually made it this far. I wish I could devote myself to growing an amazing garden, but it’s not really possible when I work full time and do KatelynJane Bags on the side. 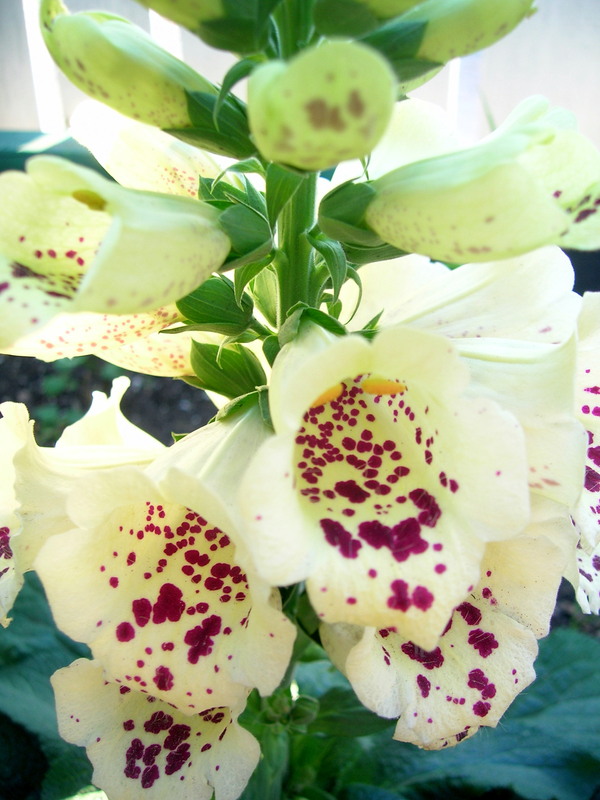 Look at these Fox Gloves! First of all, I didn’t even realize they were going to bloom this year…aren’t they supposed to bloom the second year after planting? 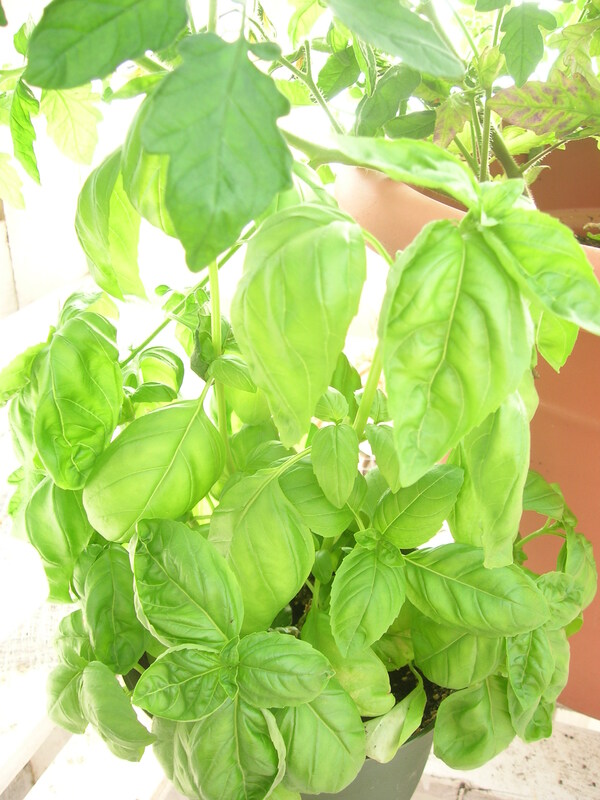 Oh well, they’re pretty (: And then my basil is doing pretty cool too, I just love putting it in my cooking! Yum. Speaking of which, I need to get thinking about dinner! Hope everyone is having a great weekend! The fair is in town so I’ll be taking that in and then tanning, the heat is amazing here!! Last night I tried to garden…I walked around the yard, hoping to find something to weed, something to get my hands dirty. Nothing. In our area, the veteran gardeners don’t suggest to plant your garden before the May Long weekend, so I can’t plant anything yet. 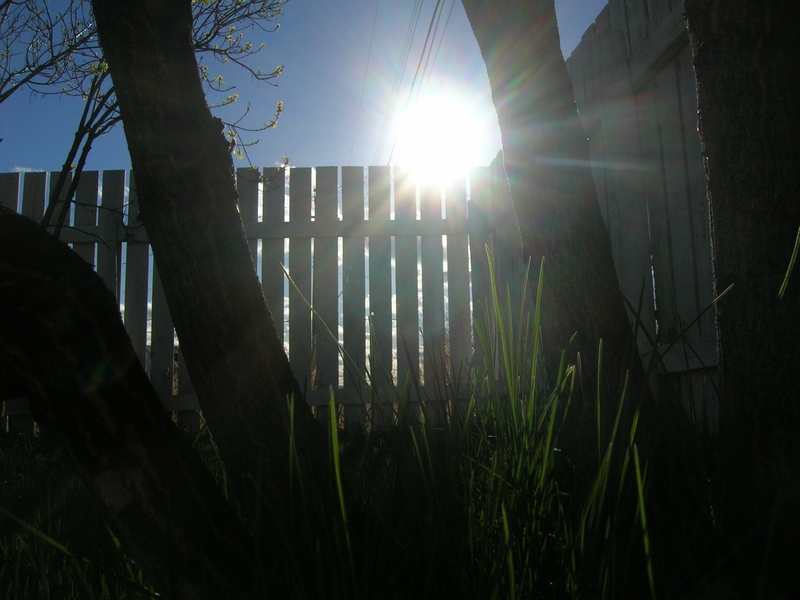 I ended up planting some Basil to grow in the house, grabbing my book and camera and laying on the grass for a while. Cobes thought I was playing, why else would I lay on the ground? ?, and would sporadically come and pounce on me or lick my face as she walked by. 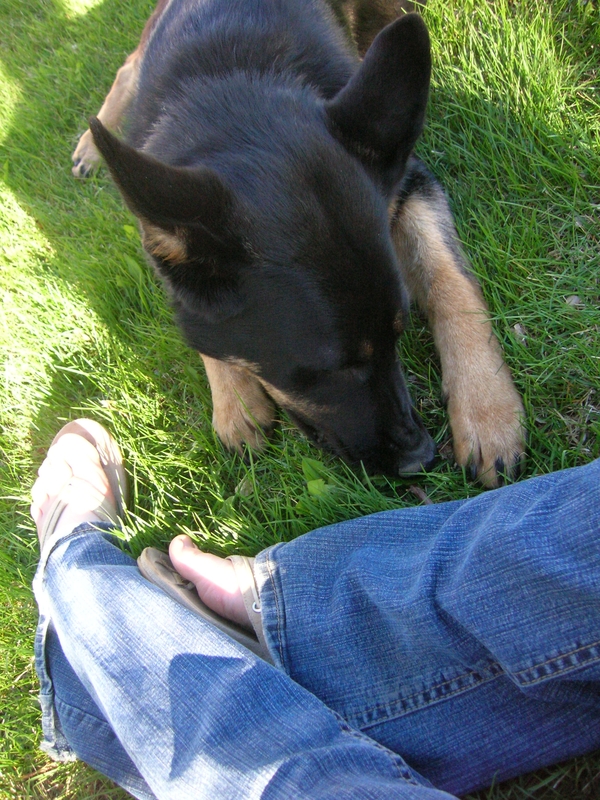 She finally settled down and chewed her twig while I relaxed, soaking up the sun and feeling the grass on my feet. I’m so releived it summer! It feels so good to have the sun beating down and the yard looks so fresh and green and bright! 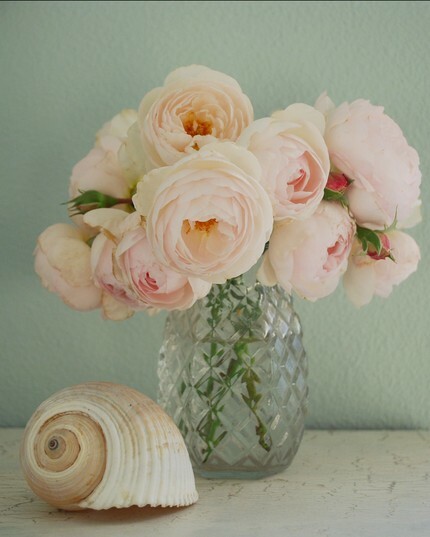 I just can’t wait until after this weekend when I’ll plant my Foxgloves, Hollyhocks, Peonies, Lupins and hopefully a few Hydrangea trees (trees? or shrubs?). 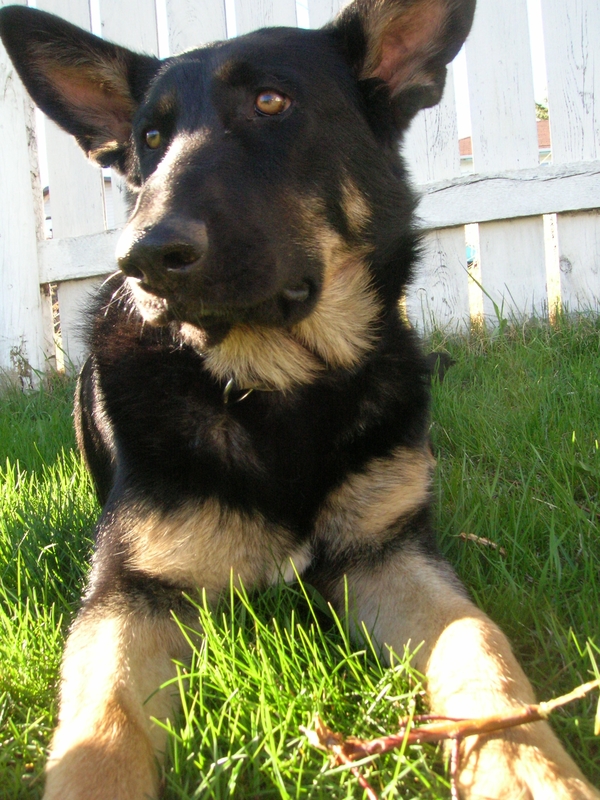 The last picture of Cobie shows off her big ears…”Cobie – Bat Dog!”. Q: What are your summer weekend plans?